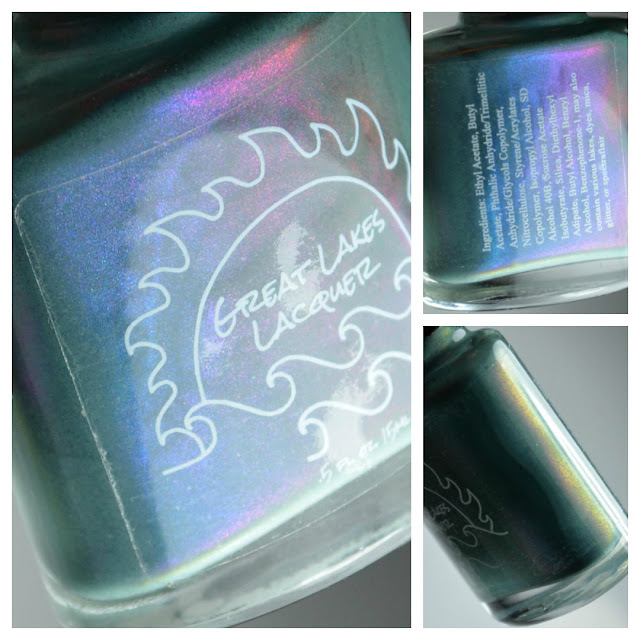 Over the last year I've been hearing wonderful things about Great Lakes Lacquer. Today I have the pleasure of sharing my first thoughts on this brand and I get to show you August's limited edition shades. Notes: The shimmer in Olive You is so freaking incredible in person. The bottom photo is the best example on what you would see in normal daily wear. Notes: Sliding Through Summer has beautiful pink to purple shimmer, but it was kind of tricky to capture on camera because teal throws my settings off a bit. The shimmer isn't as strong as Olive You, but it's definitely there. Notes: This is a collab with Melissa of honeybee_nails on IG. 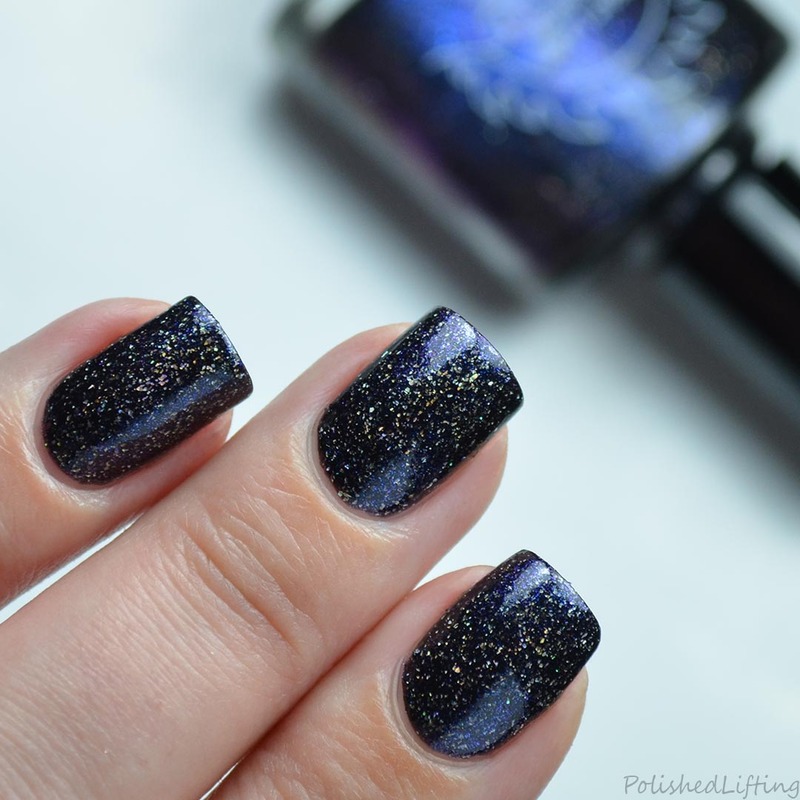 This shade was inspired by the nighttime sky seen in Mitten, MI. 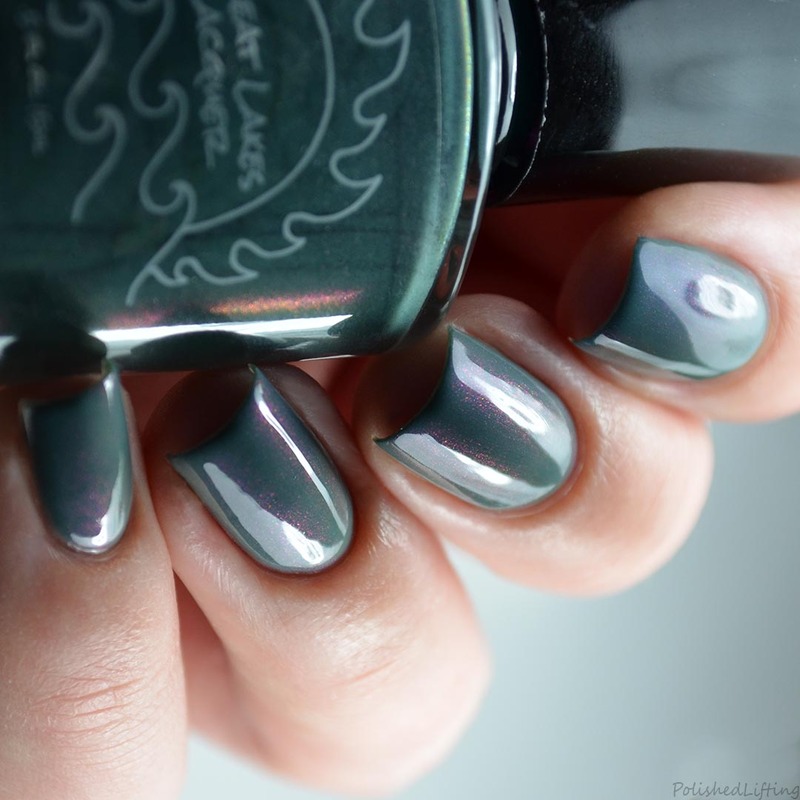 This polish will benefit HighFive Hideout, a youth-focused community center in Inkster, MI. HighFive Hideout offers access to educational and recreational activities for communities lacking these opportunities. They offer a safe environment for youth to learn and grow. They are currently in the process of fundraising to build a center for these activities. $5 from every bottle sold will be donated to HighFive after sales have concluded. You can read more about HighFive Hideout here. Overall I am quite pleased with the complexity of each color, and how they applied. I'm a bit disappointed in myself for not trying Great Lakes Lacquer sooner. The shades featured in this post will be available on August 15th at 2pm ET and will disappear on September 2nd at 2pm ET.